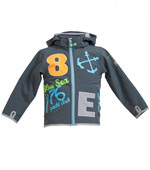 At waterproofs4kids we offer childrens outdoor clothing which can present that essential outer layer so your kids can have the outdoor fun they need whilst keeping dry, clean and comfortable. We are a family business with children of our own and know the importance of a happy and comfortable child, which is why our range of children's waterproofs provides practicality, functionality, performance, durability and smart design. Copyright © 2015 Waterproofs 4 Kids.